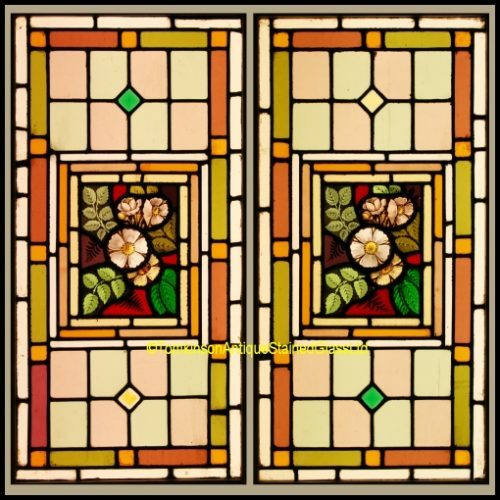 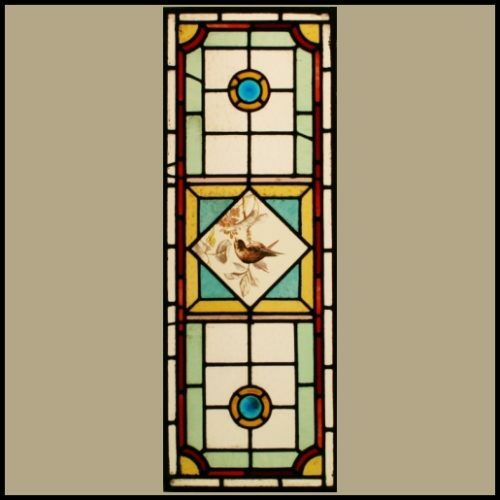 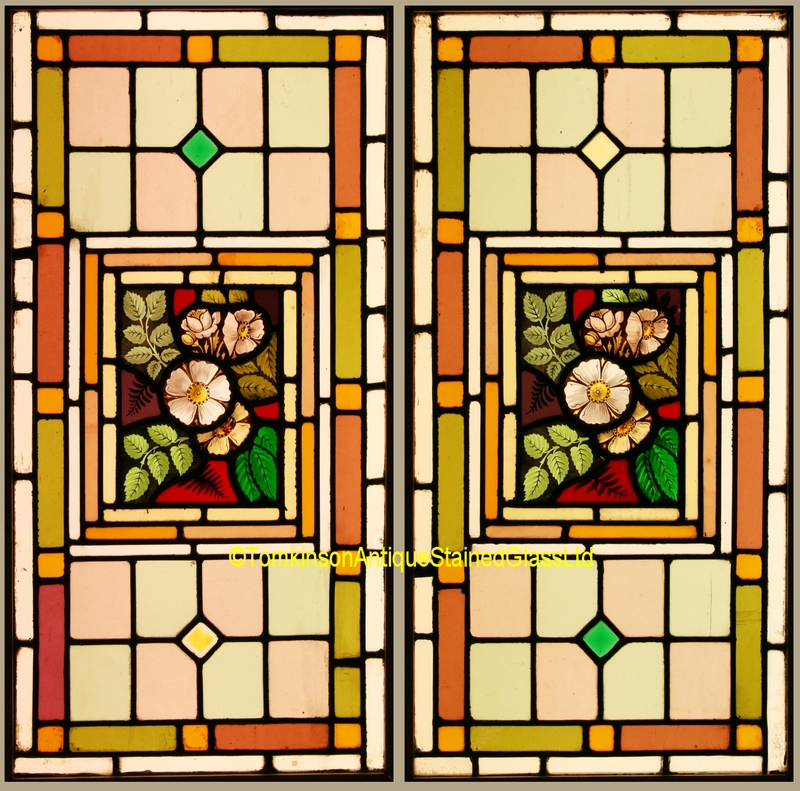 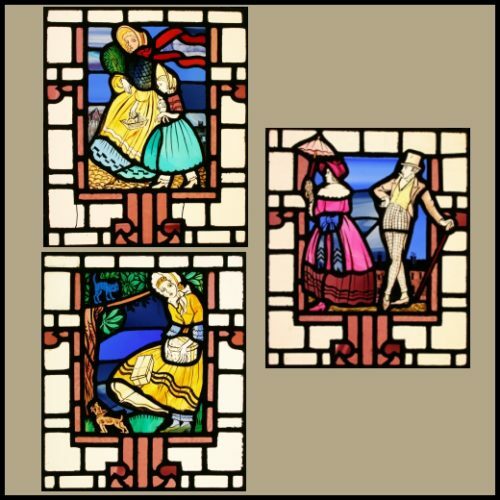 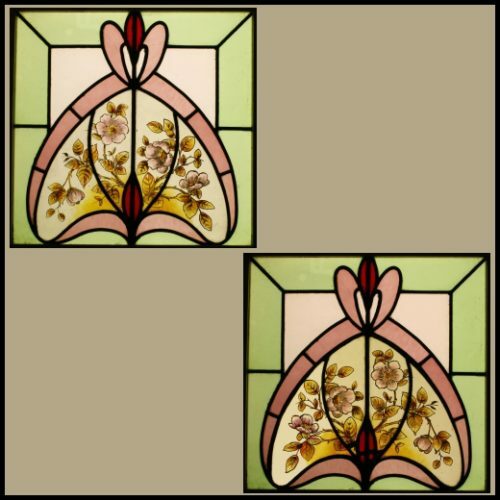 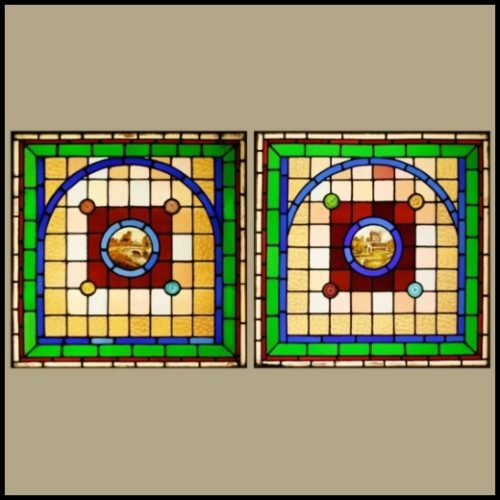 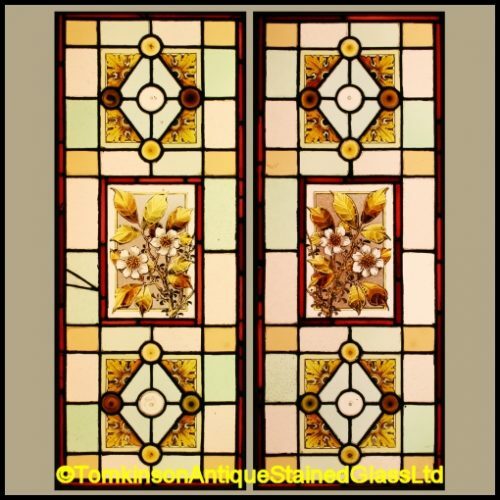 2 Antique leaded stained glass windows, both with central panels hand painted with Roses and foliage. 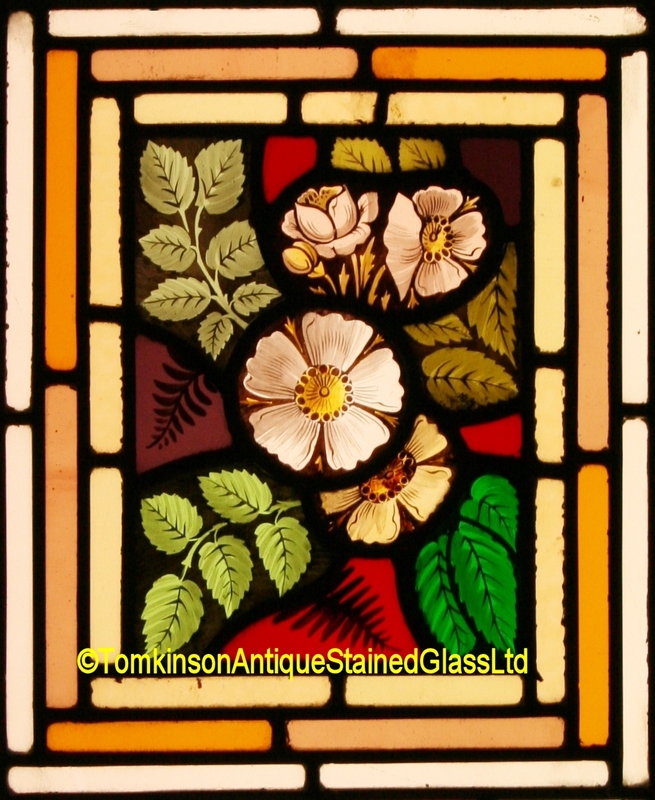 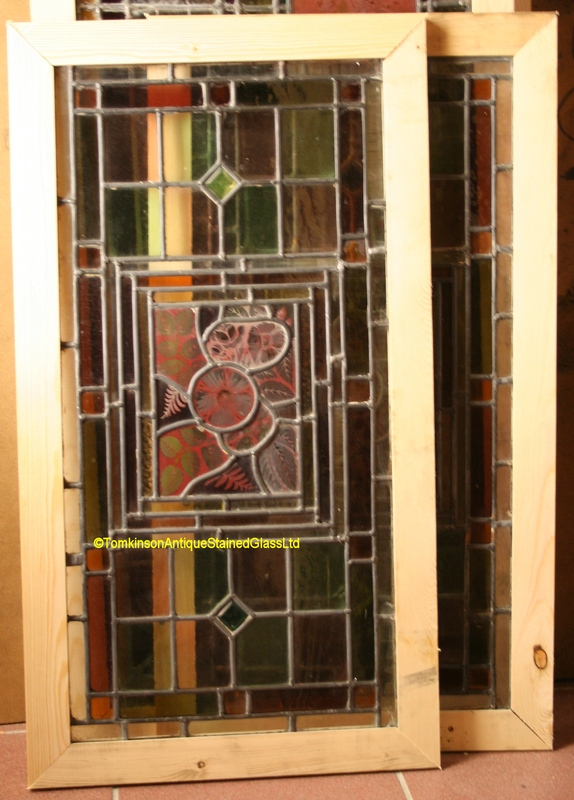 Around are various coloured glass borders. 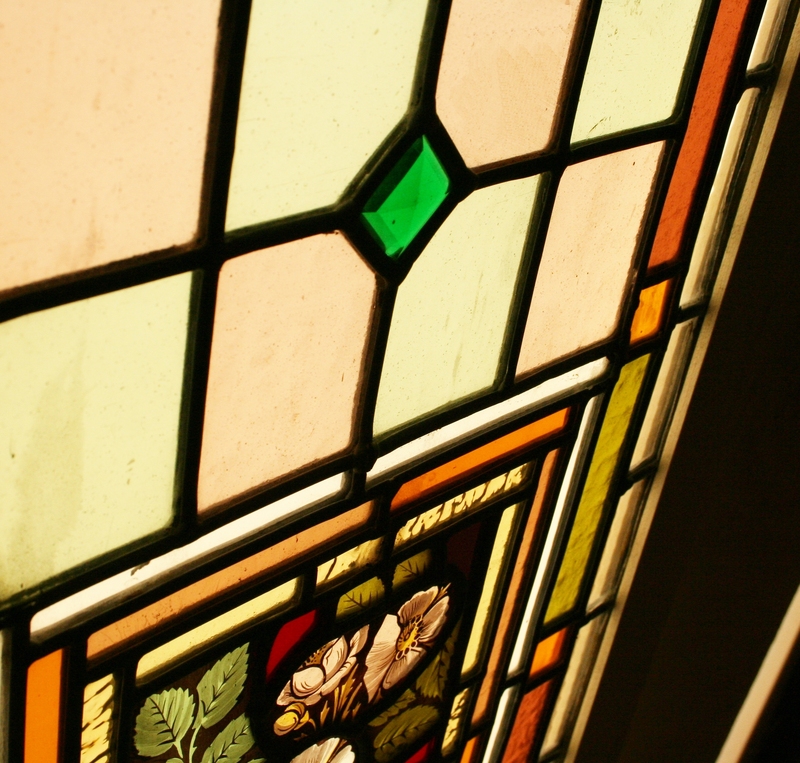 Slight restoration which has kept the windows in original condition.